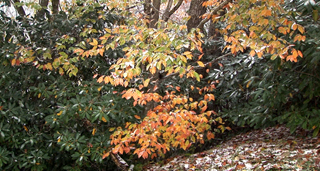 Autumn Snow is video of the my first snow of the season. 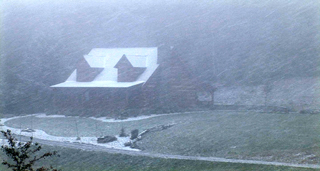 This years' first snow came a week before Halloween on October 25. 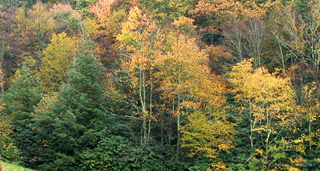 After a glorious and unusually warm Autumn, the peak came around October 21. Immediately followed four days later by a hard and swift hit of winter! Even though I've seen many snows here at the Ranch, it is always a little exciting. This first snow only ended up accumulating about half an inch, but I still wanted to go out an capture it to share. This video is about 4 minutes long. It is footage I took of the snow and sleet from the house and then a quick walk out to the pasture, looking back at the house. I was working very hard on my NAPA work on this day and was just able to spare a few minutes to capture this "first" of the year. The photos on both sides of this text are stills from the video. To get this video on to the web and small enough for you to download it, it has to be encoded (compressed). When encoding it is always a tradeoff between quality and file size. The original un encoded video is 13GB (13,000MB)! After encoding, the Medium resolution video is only 48MB but the quality is not that good. I'm offering it for those folks with slow Internet connections. The High Def version is 122MB and of better quality. I'll continue to play with the size and quality. I want to offer the best quality I can afford to be download. Excuse the crudity of the video production. I'm still learning the ins and outs video production and have a ways to go. Sorry Apple folks, but the video is currently only available in Windows Media Player format. I'm continuing to try to encode the video in the new H.264 format so that it will be viewable in QuickTime. This has been the technical difficulty that I mentioned in my Blog. I decided to go ahead a let the Windows folks see it while I continue to work on the problem. For Windows folks, you will need Windows Media Player version 9 or higher. You can download the latest version by clicking the Windows Media Player link at the bottom of the page. If your machine is not fairly new, you will probably have to download the latest version. If you are not sure what version you have, you should probably download the latest version. Important! Please download the video file to your computer and play it from there. The amount of files that can be downloaded from my site is very limited. By downloading the file to your computer and playing (and hopefully replaying) it from there you will only have to get the file from my website once. This allows other people the opportunity to view the video also. Once the downloads reach my maximum download limit I will have to take this video off the site. I'm not sure how long this will take to happen, this is all one big experiment. The version of the Autumn Snow video you choose to download will depend on your connection speed and how much free disk space you have to save the video onto your computer. The sizes are listed beside each version. Both are the exact same video, one is just compressed more than the other. To save the file Right-Click your mouse on the link you choose to download. In Internet Explorer choose "Save Target As..", in Firefox choose "Save Link As..". Then choose the location where you would like to save the video. If you are new at this you may want to save the file to your Desktop. After the file is downloaded, go to the location where you saved it and double click it. If you saved it to your Desktop a new shortcut should have been created somewhere on your screen! Depending on how cluttered your Desktop is, you may have to shrink your browser down and look for the shortcut behind it. 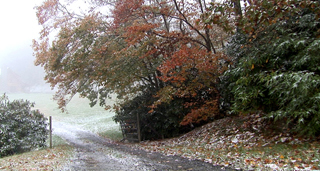 Autumn Snow - Medium Resolution - 768x480 (Size 48MB) Duration 3 minutes 56 seconds. 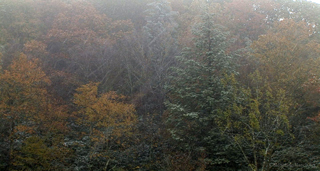 Autumn Snow - High Definition - 1152x720 (Size 122MB) Duration 3 minutes 56 seconds. This movie is best viewed with Windows Media Player version 10. Click here to download the latest version. “Windows Media” and the Windows logo are trademarks of Microsoft Corp.